Using distance sensor as his eyes, the hugging robot is ready to give free hugs by lifting his arms. On the surface of his body, I’ll build a half-closed door and a servo sensor. Each time when his arms are up, the servo will quickly rotate which enables the door to open for a second. 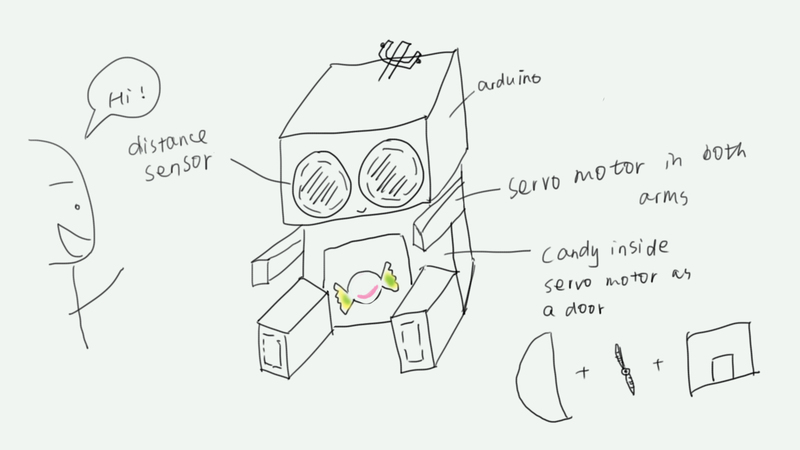 With Arduino in his brain and candy in his stomach, he will also give candy as well as hugs. 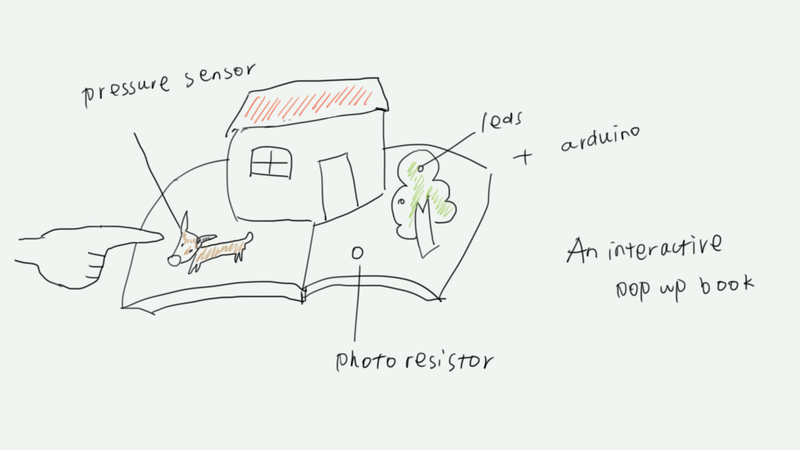 A pop-up book with sounds, and even video reaction. You’ll not only see the pop-up, but also feel the scene. I’ll select a story, make several pages, use different sensors to trigger the responses. You pat the dog and the dog will bark. You turn the page to a woods and a mockingbird will sing for you. A twister for saving the effort of the controller. It will be controlled by Arduino. 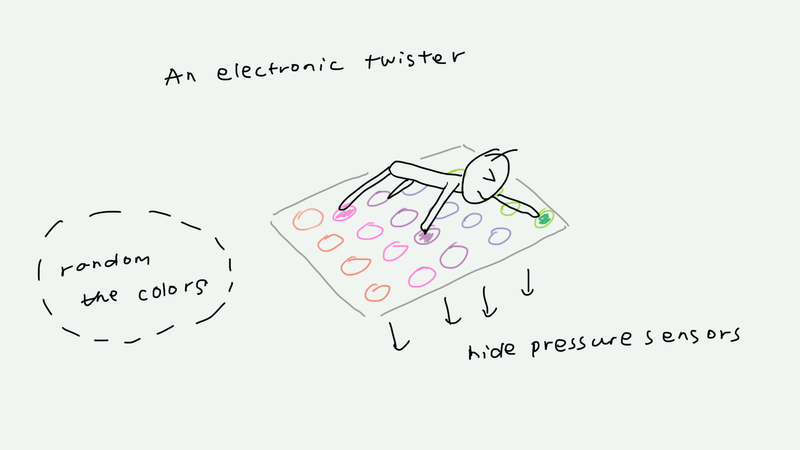 By hiding LEDs and pressure sensors inside the rag/felt, multiple players will enjoy an electronic twister together.